Advanced Navigation has released a new subsea acoustic positioning transponder, designed to provide a low cost, fully integrated positioning capability to users across a broad array of applications. 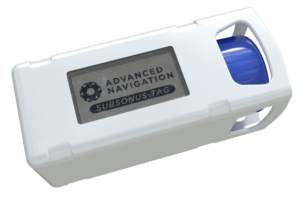 The Subsonus Tag is a low cost acoustic positioning transponder that operates with the Subsonus USBL. With an integrated battery and a revolutionary acoustic processing architecture, it can operate for up to 18 months on just one charge.